More or less 40 000 climate demonstrators joined in Amsterdam on the 10th of March to protest the weak climate policy. They consisted mostly of that part of the population that is inexperienced with demonstrations, or for whom it has been a while since their last protest. But all of them worry about climate change in such a way that they are prepared to march through Amsterdam in harsh weather conditions, with lots of rain and lots of wind. The Dutch middle class was certainly present, but there were also, for example, many students who came in buses from Wageningen University amongst other places. And a very small group, among whom yours truly, who left Wageningen on a bike, seeking adventure on the way to Amsterdam. After some twelve hours of enjoying the rich Dutch landscape, and the well-organized biking trails, we finally arrived at our end destination for Saturday night: the Lutkemeer farm. It’s the last remaining organic farm on the territory of Amsterdam. However, Amsterdam has sold the land, that Lutkemeer leased, to turn it into an industrial area. The expansion zone of Schiphol airport. It would become a business – the name of the company remains unknown – with a climate friendly, circular policy. But, as Lutkemeer farm states in their campaign: growing organic food on fertile land will always be more climate-friendly than to construct more buildings. This is also the message they brought to the climate march. It was a very interesting stay at the farm, and it also showed us that everyone comes to the climate march with his/her own fights and visions. Sunday morning, we woke up with the sound of rain clattering on the roof of the attic we slept in. We left to the city early to buy some rain pants, and then we headed towards Dam, which was the meeting point of the demonstrators. First, there was an hour of speeches, in the pouring rain, and then the group left to march towards the Museum Square. There were no separate blocks of organizations in the march, instead we all walked together, which gave the marchers the space to get to know one another. When we got to the Museum Square, we were welcomed by a musical blast of energy and we all danced together in the mud. It was a great ending to the climate march and we could almost not feel our wet and cold feet anymore. After this, the small group of bikers left to bike back to Wageningen, which was now only about 6 hours away. The rain stopped, rainbows appeared, and we got to see a beautiful sunset. It was a gratifying trip. 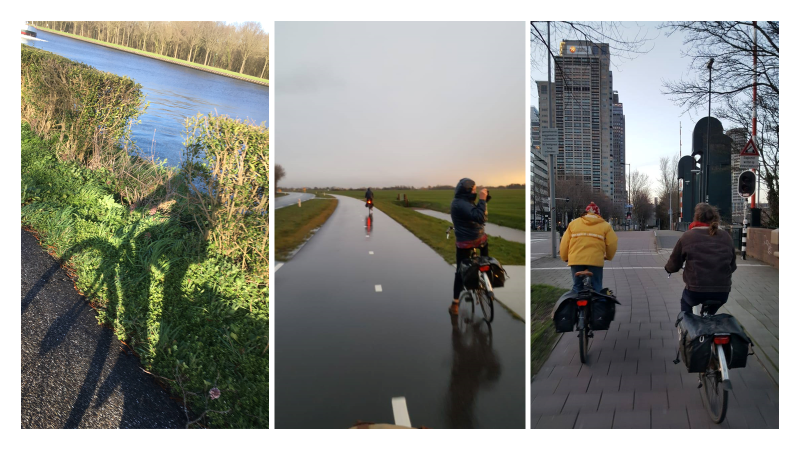 But why bike all the way to Amsterdam to walk an hour with strangers in the rain, you ask? Well, first of all, to me it seems that even in a democracy like the Netherlands, protesting on the streets is one of the more powerful ways to demand structural change. Above that, all the climate marches that have been going on in the world have changed the subject of the political discussions that we have. Everyone has something to say about climate change now. And this forces the politicians to speak on it as well. And to act, hopefully. Besides all that, it’s also just a lot of fun to march, to participate in climate marches and to fight for our common future. 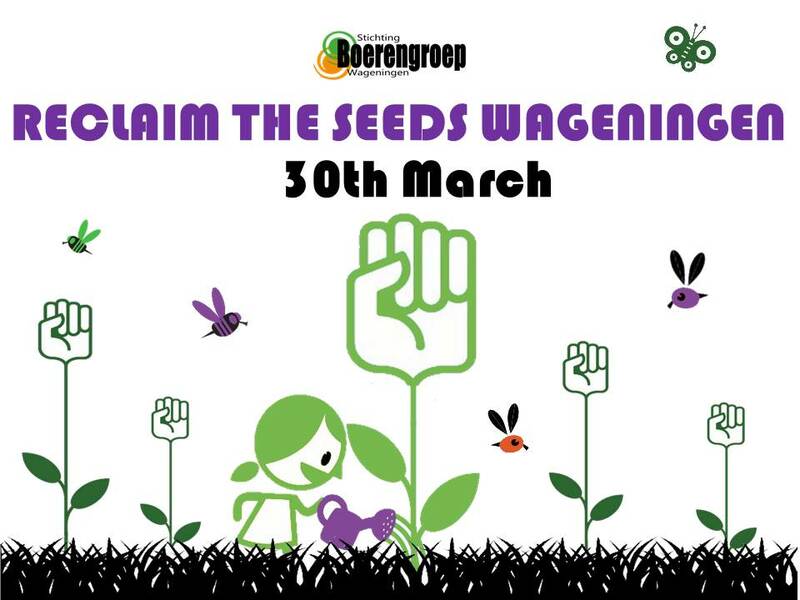 After months of planning, Reclaim the Seeds, Wageningen Edition, took place on the 30th of March. It was a bright, sunny day, putting everyone in a summer mood, and making it a perfect day to celebrate agro-biodiversity, sustainable food production and to reclaim our right to freely swap and share unpatented, GMO-free seeds! The main location of the event was the Hoge Born farm, but there were also many food forest-related workshops that took place at the Droevendaal Farm. A couple of hundreds of people showed up to stroll through the elaborate seed market, where one could buy seeds from Smaakzaden, Gradinka Kruidentuinen, Onszaden, Tuin Joop and more. For the people who brought their own seeds, there was a seed swap table, where everyone could share their favorite seeds and go home with new varieties to try out. There were also some information stands, from Aseed, Toekomstboeren and CGN, amongst others. Madelon Oostwoud and Arkel Uitgeverij provided the opportunity for people to buy books and enlarge their knowledge about biodiversity and sustainable seeds. Apart from the seed market, there was an elaborate workshop program. Prof. Dr. Pablo Tittonell opened the event with an interesting speech in which he outlined the status-quo regarding global food production, and the alarming loss of agro-biodiversity. Later that day, he also joined Kees Van Veluw in a tour around the Droevendaal Farm. Moreover, we got to learn about organic apple breeding by Remmelt Groenwold, about seed banks from Noortje Bas, and about financing biological plant breeding by René Groenen. As this Reclaim the Seeds-edition was organized in Wageningen, and by the student organization Stichting Boerengroep, it is only natural that a lot of young people were involved. Many volunteers and visitors were students, but also some of the workshops were organized by students, such as the one about agro-ecology, given by Heitor Mancini Teixeira and the two Boerengroep interns, Eva and Maria-Franca, the active workshop given by Wageningen Student Farm and the interactive talk given by Ester Klein Hesselink, who did her internship about food forests in the Netherlands. There were also a number of workshops that focused more on Retaining the Breeds, such as the workshops about chicken husbandry given by Godert Wytema, and the workshop about rare Dutch farm animal breeds that was given by Nonja Remijn from Stichting Zeldzame Huisdierrassen. Another sub-theme at Reclaim the Seeds was Regain the Trees, and this refers to all aspects of agro-forestry. The workshops given by Bastiaan Rooduijn, Kees Van Veluw and Malika Cieremans took place next to the Food Forest at Droevendaal Farm. 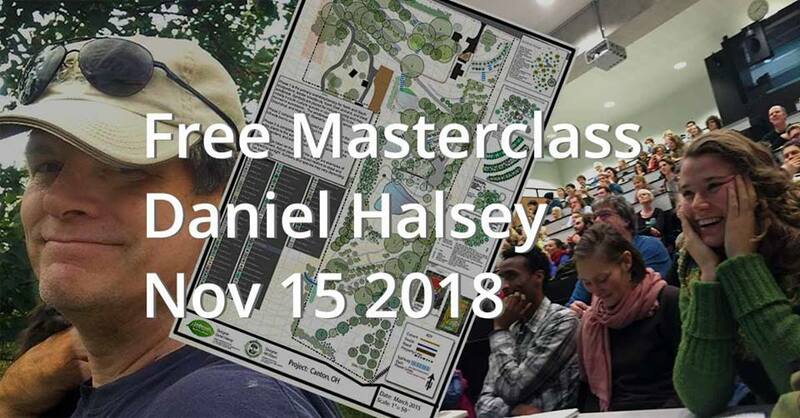 There were a lot of interesting talks about what a food forest is, and how to start one. “Reclaiming the seeds and our food system requires action on all levels: from local food-cooperatives to changing the European agriculture policies. People and farmers instead of corporations.” – Herman van Bekkem. The Boerengroep team coordinating this event has concluded that this day was a great success. This was a day to remember for us as an organization and for those who also took part in it, because in the end, we are all participants of reclaiming the seeds. On 26th January, Boerengroep organized an excursion to the farm Akkervarkens (Field pigs in English) in Walthermond in Drenthe region, for a group of 11 people. The goal was to visit a pig farm with an innovative, more animal- and environmental-friendly way of raising pigs. Akkervarkens farm is, to say the least, special. Willem and Claudia, the farmers, wanted their pigs to be raised in their natural habitats, so that they could perform their natural behavior. They have 250 pigs that live outside all year round. They live in and feed on neighboring forest areas, and on other farmers’ arable fields where they dig out weeds or the remains of a harvest (like potatoes). This way, new open spaces are created in forests and the fields are cleaned without machines, which leaves more space to soil life. Every day, pigs get additional feed that is locally sourced (such as cereals and beets), to ensure that they remain healthy and so they keep coming to the farmers. The entire life cycle of the pigs is managed by the farmers, from birth to slaughter. The sows give birth in the farrowing pen on-farm, where they have space to make their own nest made of straw. Some extra space close to the walls is made especially for piglets, to prevent them from being crushed by their mother. Piglets stay with their mother for 8 to 10 weeks (instead of 4 weeks in conventional farms), before they are placed together by age so they learn to get used to life outside and within a group. The farm raises 3 different breeds (Berkshire, Duroc and Husumer) that are known for being robust and curious, perfect for living outside. Husumer is especially a rare breed that the farmers want to save from extinction. Pigs are raised until more or less 1.5 years old (instead of 6-7 months in conventional farms). The farmers bring the animals to the slaughterhouse themselves to ensure minimum stress. The meat is sold on-farm. It has extra tenderness and juiciness thanks to the special breeds. The meat is not organic but it is free of antibiotics and of conservatives. Akkervarkens farm is multifunctional and locally rooted. The pigs are used as landscape managers, as they clean fields and forests. Also, because the pigs dig weeds with their roots, the farm works hand-in-hand with the municipality to control invasive exotics, such as the Japanese Knotweed (Japanse duizendknoop in Nederlands). Farmers offer farm visits all year round, and people can pass by freely to say hi to the pigs, some of them give the pigs their leftovers. The farmers also organize activities for children: they have an indoor playground for children parties (including farm animals) and they organize each year an acorn collection campaign: together with local residents and sport clubs they go and pick up (up to 6000kg) acorns, as treats for the pigs. Getting a 2-hour tour at the Akkervarkens farm is quite an experience. It is especially delightful to help the farmer go feed the pigs, and to see hundreds of them happily running to us from a distance in the field. It is inspiring to get to know about an economically successful farm that raises pigs according to their natural behavior, allowing them to live outside under the trees, dig out their food and to chill in the mud. 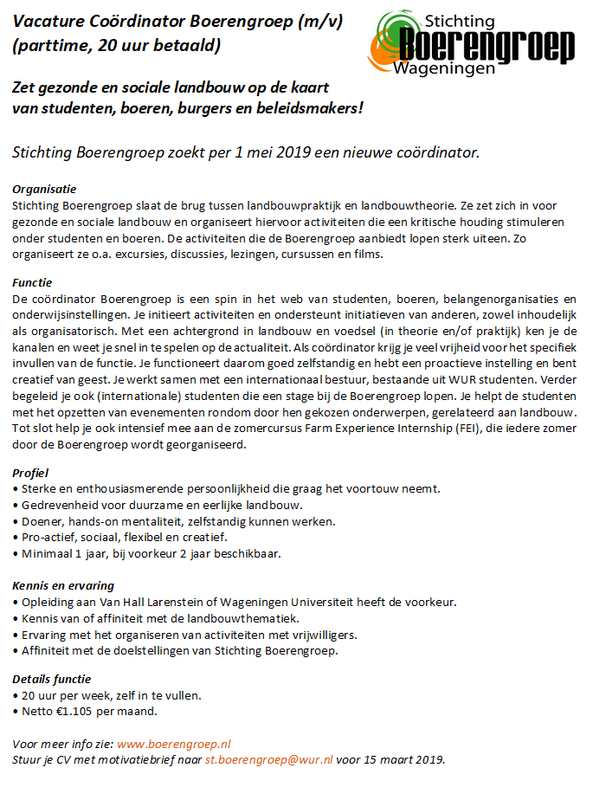 The contract of Patricia, the coordinator of Boerengroep, is coming to an end the 1st of May 2019, so we are looking for someone else to take over. We are looking for someone who is fluent in Dutch, as they will be dealing with external (Dutch) parties, farmers and things such as taxes and regulations. Would you be so kind to spread this vacancy among your network? On behalf of the Boerengroep team, I wish all of you an amazing 2019. We are looking forward to a year full of inspiring meetings and dialogues with students, farmers and other random creatures AND to organising events that facilitate those interactions. This year, we like to encourage you to cut throught the (scientific) silos, move beyond your personal boundaries and increasingly shift linear thinking to circular! 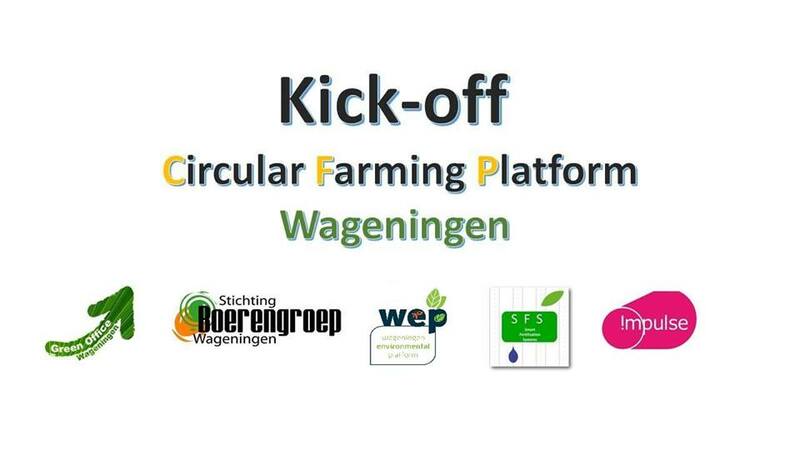 Hereby, we like to invite you to join us for the Kick-off of the Circular Farming Platform during lunch on the 18th of January! Circular agriculture is the future. Our minister of agriculture – Carola Schouten – has declared her vision “The Netherlands front runner in circular agriculture’’. Our executive board president Louise Fresco has recently announced a paradigm shift in agricultural science from improvement of productivity towards improvement of circularity. What is the next step to these beautiful ideas? How can we integrate circularity thinking into WUR education? Boerengroep has decided to take this topic of circular farming as it’s year theme! We will follow the developments and participate in this disucussion lively! Join the kick-off of the Circular Farming Platform and see how you can contribute to the conversation! 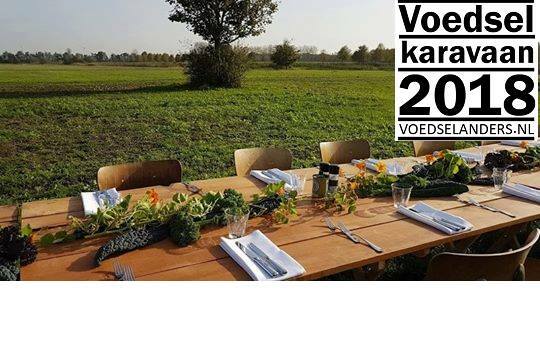 De Voedselkaravaan / The Food Caravan of VoedselAnders is coming to Wageningen on the 28th of September to put the transition towards more sustainable and fair food and agriculture on the agenda. In one evening there will be three events which you can either visit all three to have a full evening program, or just one or two of them: A buffet with movie screening, conversation with Michiel Korthals (philosopher), party with band. 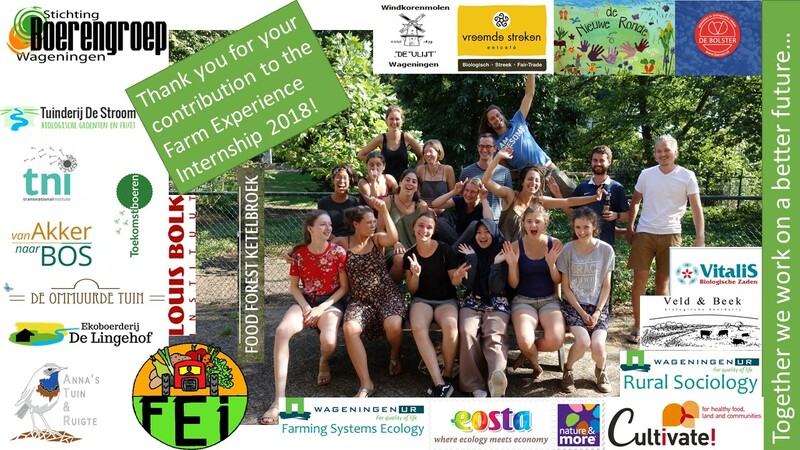 From 23rd – 27th of July Boerengroep organised a very successful Farm Experience Week, which is the first part of the Farm Experience Internship (FEI). Twenty-four participants, from eleven different nationalities, have completed a full week of workshops and excursions focused on agroecology as a science, a movement and a practice. This large diversity in nationalities and backgrounds offers a unique opportunity to learn from each other and to get into dialogues on sustainable ways of food production. Most of the participants are currently continuing their learning process by working alongside a farmer in a farm or garden somewhere in the Netherlands. The 5th of October all participants will meet once more to share their experiences and reflect on the theory and their learning processes.